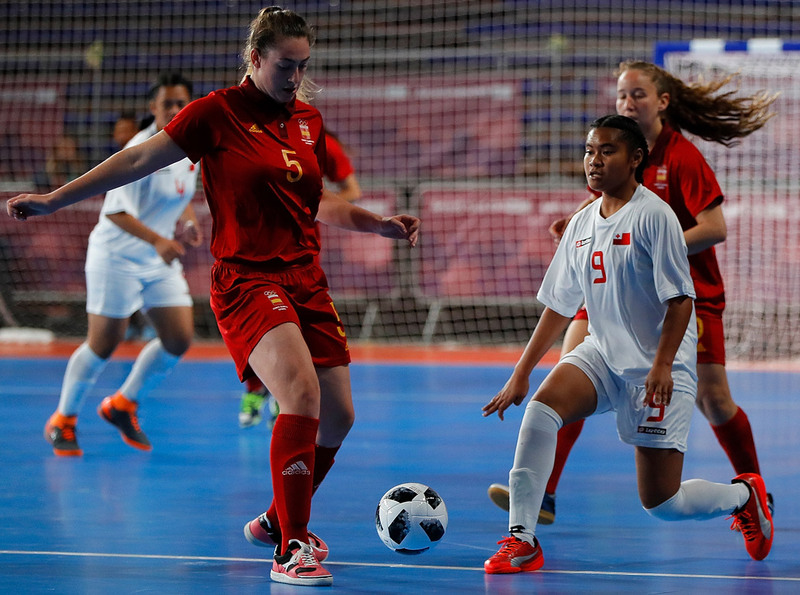 Tonga went down 8-0 to Spain in their third match at the Youth Olympic Games in Buenos Aires but by no means is it a discouraging result for the young ladies from Oceania. Spain have now won all three of their matches at the competition with the Tongans just the latest on their run to finish top of Group C.
The first half didn’t go quite to plan for Tonga with Spain absolutely dominating proceedings and getting the goals to go with that dominance too. Their poor start was compounded by the opening goal coming from an own goal off Ana Polovili in the first minute. As Tonga struggled to recover from that disappointing start, Spain capitalised with braces from Yarima Miranda and Marta Lopez-Pardo, while Carolina Agulla and Noelia De Las Heras also going on the board to give the Europeans a 7-0 lead going into the second half. Tonga rallied defensively for the second half and were impressive in their ability to hold off the unrelenting attacking from their opponents. Despite a whopping 69 per cent of possession plus 69 shots, Spain were able to hit the back of the net just once in the second half with Teresa Montesinos taking that honour. While the defensive efforts from Tonga were excellent in the second half, credit also had to go to the two keepers, Kalolaine Topui and Carollyne Fotu who were crucial in the fight to limit Spain to just eight goals.